The 'Men in Yellow' restricted the opposition to a below-par total of 161 and chased it comfortably in the end to register their seventh win. The Chennai Super Kings (CSK) cruised to their target of 109 runs against Kolkata Knight Riders (KKR) at the Eden Gardens, Kolkata on Sunday, courtesy an excellent unbeaten knock of 58 runs by Suresh Raina. However, the match was set up beautifully by wrist spinner Imran Tahir. 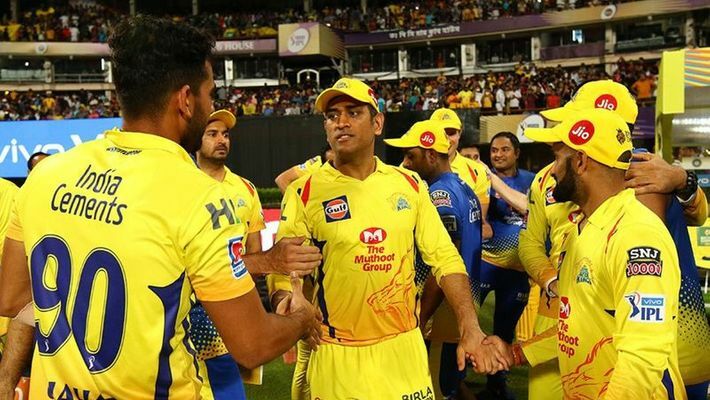 Chennai, playing their eighth game in the ongoing edition of the Indian Premier League (IPL), had won the toss and asked the opposition to have a bat. In this process, the 'Men in Yellow' restricted the opposition to a below-par total of 161 and chased it comfortably in the end to register their seventh win. Let's look at the important factors that turned the encounter in Chennai Super Kings favour. Tahir came into bowl in the 11th over of the KKR innings, and by then, the hosts were in a strong position, scoring a boundary or two every second over. The partnership between Chris Lynn and Nitish Rana had grown to 41. But then Tahir struck, removing Rana. He accounted for Robin Uthappa in the same over. The hard-hitting batsman got a golden duck, and from a comfortable 79/1, KKR were suddenly 80/3. In the 15th over, Tahir removed the deadly duo of Lynn and Andre Russell, leaving KKR tottering at 132/5. Tahir ended up with sparkling figures of 4/27 in four overs dented the KKR innings. They kept on losing wickets at regular intervals and could manage no more than 161. Chasing 161, CSK lost Shane Watson early in the innings and brought Suresh Raina to the crease. Prior to this innings, Raina didn't have a great IPL, but this match was different. He played with maturity and anchored the Chennai's innings. Though wickets kept tumbling at the other end, Raina held his nerve and stayed till the end. In this process, he registered his first fifty of the season. Chennai had lost Mahendra Singh Dhoni in the 16th over of the chase, which led Jadeja to join Raina in the middle. With 41 runs still needed off 24 balls, Chennai needed something special from both Raina and Jadeja. Jadeja hammered the opposition bowlers all around the ground. He smashed 31 off just 17 balls and scored at an astonishing strike rate of 182.35 to get his team over the line.